However, while many scientific studies have examined the effects, in the more or less long term, of the practice of meditation or music on the brain, we do not know much about reading. Surprisingly, they have not been the subject of much research. Most of the existing works have focused on describing what happens in the brain as we read, or identify the brain structures needed for reading. 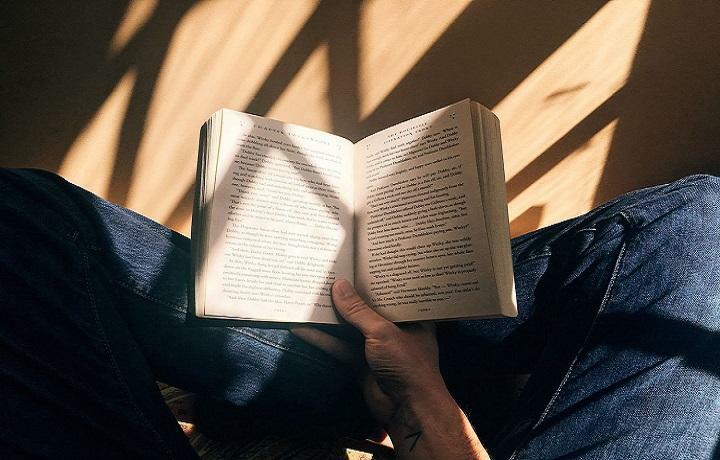 However, it has been clearly demonstrated that reading provides considerable benefits, especially to thinking, even though all categories of books are not equal. Back on some key lessons from the few existing studies. The most astounding result is that obtained by David Comer Kidd and Emanuele Castano, published in the prestigious journal Science in 2013, then reproduced by another team in 2018. Kidd and Castano have shown that the simple act of reading an excerpt from a literary fiction (in other words, a work rewarded with a prize and/or written by a reference author, such as Patrick Modiano or Jean-Marie Gustave Le Clézio), allows one to obtain better performances in “theory of the mind” than to read a passage drawn from a popular fiction (such as a book that is part of the best sellers). The theory of the mind is defined as the ability to attribute thoughts, intentions, emotions to others, and to be able to understand and predict the behavior of others. During their work, Kidd and Castano evaluated this ability through the eye interpretation test, which consists of selecting the word that corresponds to the thought, intention or emotion expressed by an individual’s gaze. In addition to this short-term effect of reading, the authors showed that there was a positive correlation between reading experience in subjects, measured from an author recognition test, and performance of the eye interpretation test, which this time suggests a long-term effect of the practice of reading on the theory of the mind. It is clear, then, that reading a literary work has positive consequences, but how can these be explained from a neurological point of view? Various studies have explored the cerebral foundations of the theory of the mind. This work consisted of having participants read texts aimed at mobilizing this capacity while observing the activity of their brain by functional neuroimaging. The scientists have demonstrated the involvement of two specific brain regions: the medial prefrontal cortex and the temporoparietal junction. Both play a role in understanding the intentions of others. These results are interesting but do not really tell about the effects of reading literary texts on the brain. To date, only one study has explored this aspect: that of Berns and his colleagues, published in 2013 in the journal Brain Connectivity. The authors asked a group of healthy subjects, students from Emory University, where the researchers worked, to read each night for nine days of 30 pages of Robert Harris’ novel Pompeii: A Novel. Their cerebral activity at rest was then systematically measured the next morning. This protocol aimed to determine if the impact of reading on the brain lasted over time. The results show that during this nine-day reading period, functional connectivity between the medial prefrontal cortex and the temporoparietal junction increased. The improved communication between these two regions (implied, as we have seen, in the theory of the mind) could explain why the skills of the readers of novels increase with regard to this function. Reading, therefore, seems capable of improving certain cognitive abilities important for life in society. These very interesting results remain however fragmented and call for further research. An ideal study would combine cognitive measures of the theory of the mind with functional and anatomical brain measurements. It aims to highlight the short- and long-term effects of reading on the theory of the mind, as well as to better define the associated cerebral signature. The literature has already been incorporated into programs to strengthen social bonds, such as those aimed at promoting empathy among physicians or developing the skills of prisoners. A better understanding of the brain mechanisms that underlie the beneficial effects of reading on the brain would make these approaches more effective, or even invent new ones.